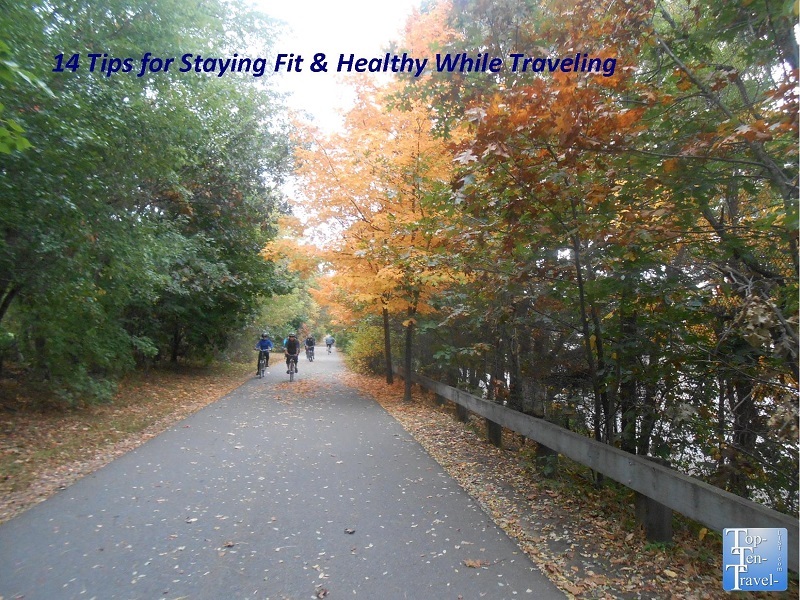 14 Tips for Staying Fit and Healthy While Traveling - Top Ten Travel Blog | Our experiences traveling throughout the US. It is easier to stick to a healthy eating and exercise regimen while at home. Traveling often sabotages all your hard work due to a multitude of reasons, including veering off your normal schedule and not having access to your normal gym. Sometimes, we give ourselves the excuse that we are on vacation and don’t need to exercise. Going away for one or two nights and skipping a workout is healthy and sometimes needed to recover both your body and mind! However, for longer trips you really can’t afford to skip out on a whole week (or more) worth of workouts. Doing a little planning in advance is your best bet. Pack workout clothes – If you have fitness clothes packed in your suitcase you will be more likely to workout. Having the clothes on hand is more convenient then having to buy new items. Also, make sure to bring with your running shoes! You can’t workout without them! They are easy to forget so pack them right into your suitcase. Research activities before you leave – Look up fun attractions which can double as entertainment and workouts. 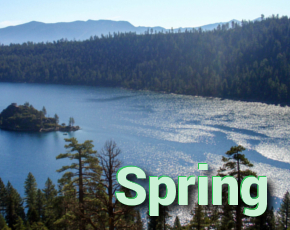 National and State Parks are great for all sorts of activities such as hiking, biking, and cross country skiing. Also, look for adventure activities such as whitewater rafting or kayaking, which tend to burn a lot of calories and are also really fun! Pack healthy snacks – Bringing with a few healthy snack options as opposed to eating out your entire trip will keep you more in the fitness frame of mind. Concentrate on high energy low carb snacks like pumpkin seeds and almonds. Also, if you have a hotel fridge stock in with healthy fruit and yogurt. Research healthy restaurants – Eating healthy and fitness go hand in hand. Dining out at an unhealthy restaurant is more like to rob you of energy, make you feel run down from overeating, and cause you to skip a workout. Look at menus before your trip and plan for a few restaurants that offer healthy choices. This way you won’t just resort to whatever restaurant is closest to your hotel. Book a hotel with a gym or pool – Having a workout room or pool at your hotel is a great option for those who would rather keep their exercise indoors. I love getting a few laps in the pool in the morning while no one is around. Swimming is great cardio! Plus, you can relax in the hot tub after! 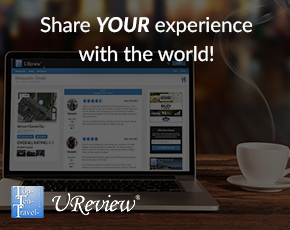 Be strategic with hotel location – I will try to purposely book hotels that are near recreation. 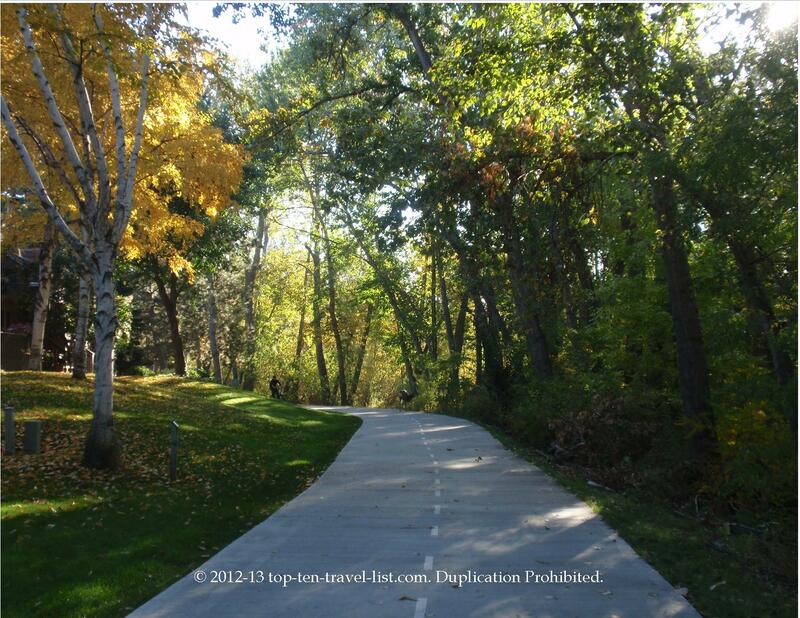 For example, on one of my trips to Boise I decided to book a hotel right on The Greenbelt path. The hotel wasn’t as fancy as some of the others in town, however, I was able to walk right out my door and go biking and running on the path! Eat breakfast before you leave – If you are taking a road trip, make sure to eat a healthy breakfast before you head out. Skipping breakfast will likely cause you to overindulge for lunch, thus making you less likely to want to hit the gym. Take a walk or jog outside – This doesn’t require any equipment (just the fitness clothes that you packed in advance). This is a great way to see a new area. It doesn’t have to be a super lengthy workout, just get out there and do something! Stretch on long airplane rides – Make sure to get up every now and then and walk around. Also, try to stretch a bit in your seat to prevent leg pain and cramping. Get a good night’s sleep – Don’t stay up too late or party too much the night before you leave. Heading out refreshed and energized will make you more likely to want to participate in some energizing activities during your trip. Choose smart at continental breakfasts – These breakfast usually include unhealthy foods, packed with sugar, that drag you down for the rest of the day. Skip the muffin and waffles and choose healthy fruits, eggs, oatmeal, and yogurt. Visit destinations with walkable attractions – Plan trips in areas where outdoor attractions that require a lot of walking are common. Think parks, zoos, downtown walking/shopping paths…all of these will require you to be on your feet most of the day. Plan workouts in the morning – You are more likely to do cardio in the morning then at the end of the day. I like to get up and get in a good workout then I can have fun the rest of the day. It is a lot harder to hold off on the workout until later when you have been out and about all day. Plus, I hate having to switch between workout and regular clothes during the day. I would rather workout, shower, and get ready for the day! Book hotels with kitchenettes – Having a kitchen on hand with a fridge and stove will enable you to cook your own meals as opposed to eating all unhealthy meals out. I feel like working out more after I have a healthy meal, so look into hotels with this option. Condo rentals are often a great idea for both saving money and having more amenities such as a full kitchen. How do you keep up your fitness routine during a long vacation?